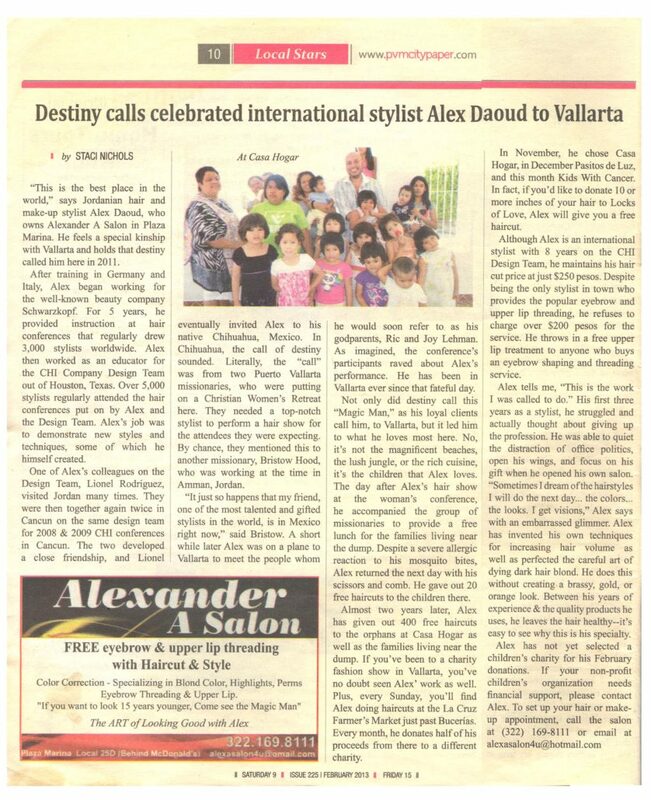 Alexander Daoud is a Master Hair Stylist and Colorist for over 20+ years. 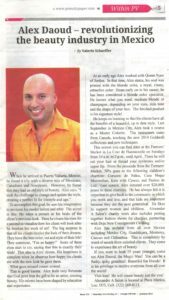 He has been internationally trained in Europe, Germany and Italy. 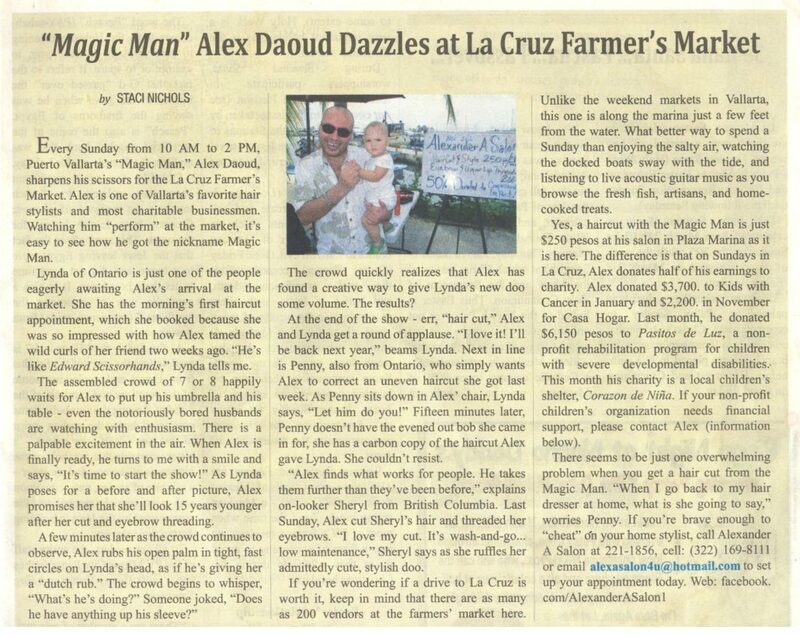 Alex is licensed in Houston, Texas (United States) by the Texas Department of Licensing and Regulation. 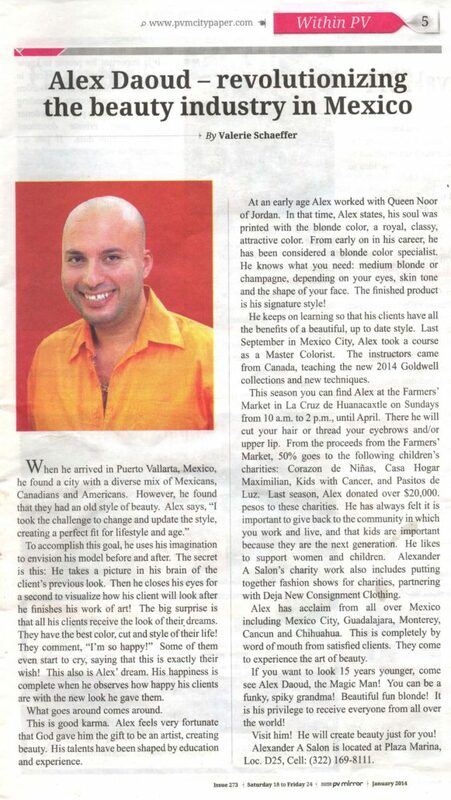 Alex started his hair styling career by working on the TV Show “Good Morning” doing hair and makeup. 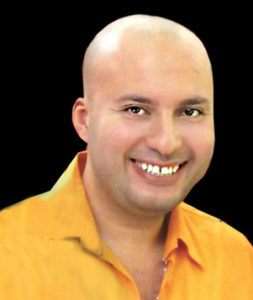 He also did on-air television spots with beauty tips, as the go-to expert. Alex has an extensive background that has gone back several decades. He was part of the CHI design team, working with Miss Universe and Miss USA. Only high quality products are used as his Puerto Vallarta Mexico Salon, including: Goldwell, Paul Mitchell, CHI, Brazilian Blowout and Dead Sea Products. Alex continues his training to keep up with the latest hair style and fashion trends. He has created his own techniques for highlighting hair safely, with minimal damage to the hair. 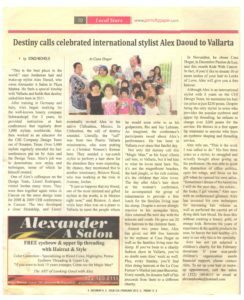 Read more about Alexander Daoud’s famous Puerto Vallarta Hair Salon, as well as Alex’s philanthropic causes he gives back to, below. Did you know? 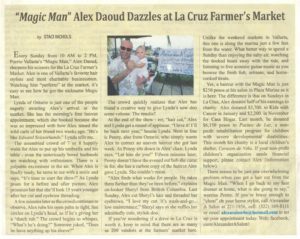 Alex speaks three languages, including being fluent in both English and Spanish.